Have you ever notices that some “natural” facial products have a lot of ingredients that you can’t pronounce? 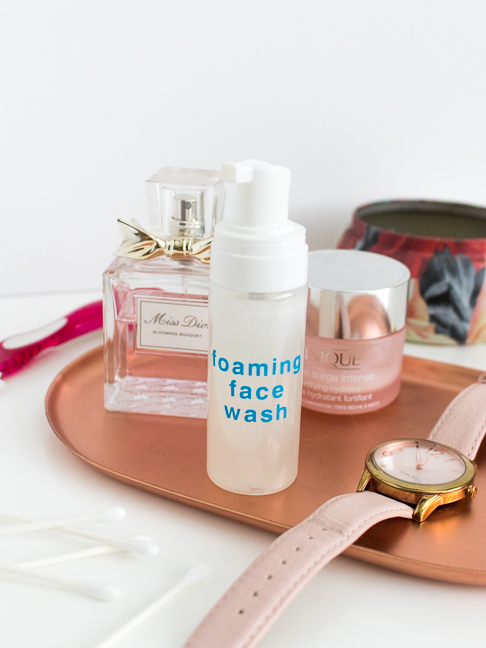 Yes, some of these ingredients might have a positive impact on some skin types, but they seriously mess with my own sensitive and acne-prone skin. 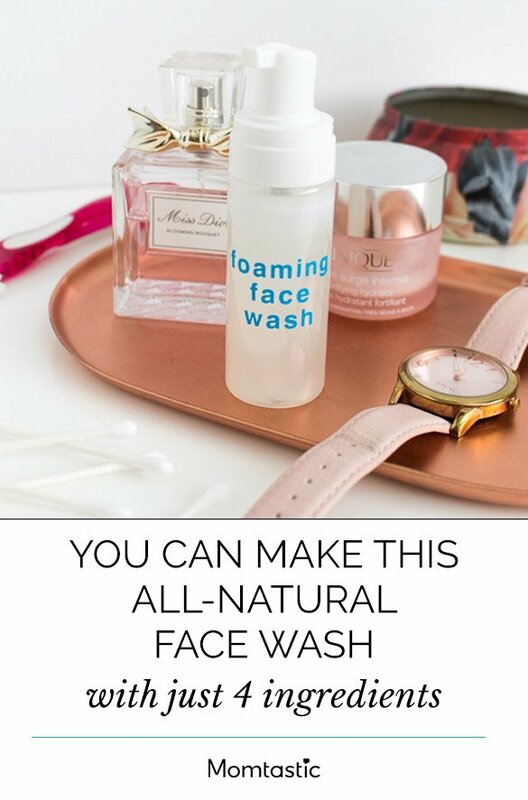 That’s why I decided to start making my own natural face wash. It’s gentle, has a delightful foam texture, and can cleanse sensitive, acne-prone, and combination type skin without the worry of harmful ingredients and it’s incredibly easy to whip up using a combination of essential oils and a light Castile soap. I use ylang ylang essential oil because it’s great for treating oily and acne prone skin. Other essential oils that work wonders are geranium to balance oil production and moisturize, frankincese to heal pigmentation and tone skin, chamomile to treat inflammation, eczema and sensitive skin, plus several other oils, including clary sage, neroli, lavender and lemongrass. I recommend researching the oils to see which one matches your skin type best. 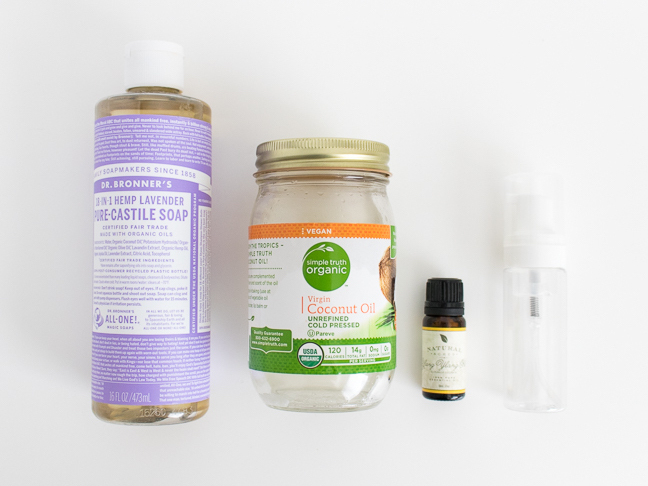 Also – I use a lavender-scented Castile soap rather than unscented because it eliminates the need for me to add more essential oils. Again, this can and should be customized according to your skin type. The coconut oil adds moisture to your skin as well, leaving it feeling clean without over-drying. I started using this foaming face wash about one week ago and it has left my skin feeling clean and properly moisturized. 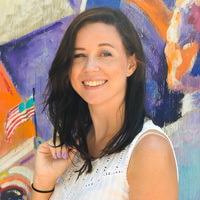 I have not had any irritation, breakouts or abnormal reactions, so I can now officially forgo expensive store-bought brands! 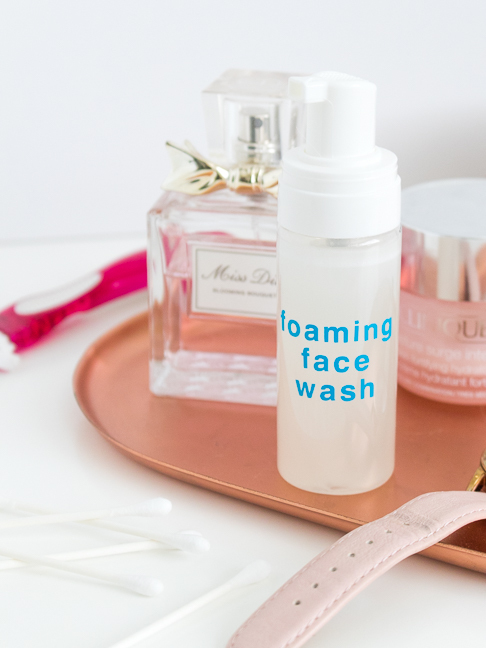 Want to make your own foaming face wash at home? It’s easy! Just follow my instructions below and you can thank me later! 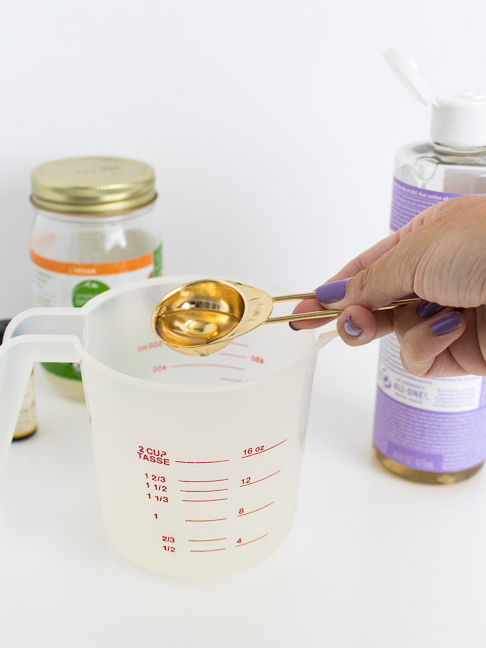 Step 1: Combine all ingredients in a liquid measuring cup with a pour spout and mix gently to combine. Step 2: Pour into a clean foaming soap dispenser. Proportions above fill two travel sizes or one full-sized dispenser. Step 3: (Application and us: Pump once to dispense foaming face wash into hands. Gently wash your face with warm water and homemade face wash once or twice per day for best results. Pat your face dry with a soft towel and continue your normal skincare routine.